If you are using the services of an online dating website, you might come across someone that really interests you and you might start considering meeting that person face to face. Be cautious though, and investigate your online dates past and history before things get serious. There were cases when users of such sites lied about themselves in order to seem more attractive or, worse, in order to take advantage of other persons. Although some users are indeed honest, you can never completely trust a person you meet online. It is not at all difficult to do a online investigation to make sure you are dating the right person. You just need a computer connected to the Internet; some free time for research and, if you would like to have an online service doing the investigation, some money. Investigating someone’s background is usually time consuming, but be patient and the results will show up. If you are considering a real date with the one you met online, it is compulsory that you know the person’s full name and even address and work place. Start with what you have and perform a search for free information about the one you are interested in. Some people have similar names, so your results can be confusing. Try to determine whether the information is about the subject of your investigation by reading it. It is not like you are spying on your date, because you only try to keep yourself out of trouble. This is why it is very wise to check a person’s history out. Don’t blindly trust everything that your online date is telling you. As far as possible, check out everything about the person your dating that he or she states and try to find out if they are being honest or are just trying to fool you. Like this, you minimize the risks of getting in trouble. The information about your date can be more accessible than you imagine. 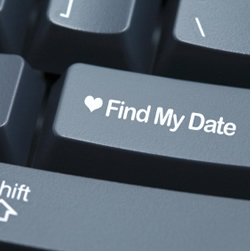 Check your date’s profile on the dating site. Look for suspicious things and for clues indicating frustration or anger. Find out as much as you can about their relationship with family and friends and with former lovers, if any. See if you can find out in how many relationships was your date previously involved and why did they end. The photo from the profile can also be helpful, because if it is unclear, the person might try to hide something. It is very important that he or she accepts to send you clear photos, in which the entire face is visible and, maybe, together with family or friends. Somebody recent in sending such photos has definitely something to hide. This can help you find out if the person your dating has another lover or if they have a criminal background that they don’t want you to know about. Tell your friends about whom you’ve met and where. They might be using the same dating website and they might have come across the same person in the past. Their opinion can be very valuable. 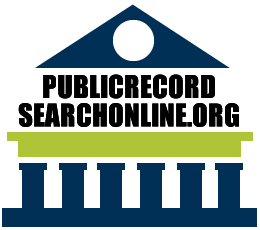 In some states the court records are available online, so search your date by name and/or address and see if he or she ever broke the law. Take care, as people with similar names exist and you don’t want to make any confusion in such a serious matter. If you can get the person’s SSN; then check out your boyfriend’s record by social security number. You may also think is it wrong to check your boyfriend’s phone, well really it’s not if you have a good reason and need to know if this person is who they say they are. No matter how hard you try, a report offered by an online investigative service or private investigator will always be more trustworthy than your own research, as they are experienced professionals. It will be worth the money because you will know if anything is wrong with the one you are ready to welcome into your life.